The Plum Blossom International Federation was founded by Choy Li Fut and Yang style Tai Chi Grandmaster, Doc-Fai Wong in 1986. Currently, the Plum Blossom Federation has over 300 schools in 40 countries worldwide. The goal of the Plum Blossom Federation is to spread the traditional Chinese Martial Arts of Choy Li Fut kung fu and Yang style Tai Chi with a complete and well rounded training program involving techniques, drills, forms, traditional Chinese weapons, push hands, and freestyle sparring. We also teach traditional Chinese Lion Dancing and our team has performed at many events including the 10/10 parade, San Francisco Chinese New Year parade, the Oakland Raiders Halftime show, and numerous weddings, birthdays and business grand openings. 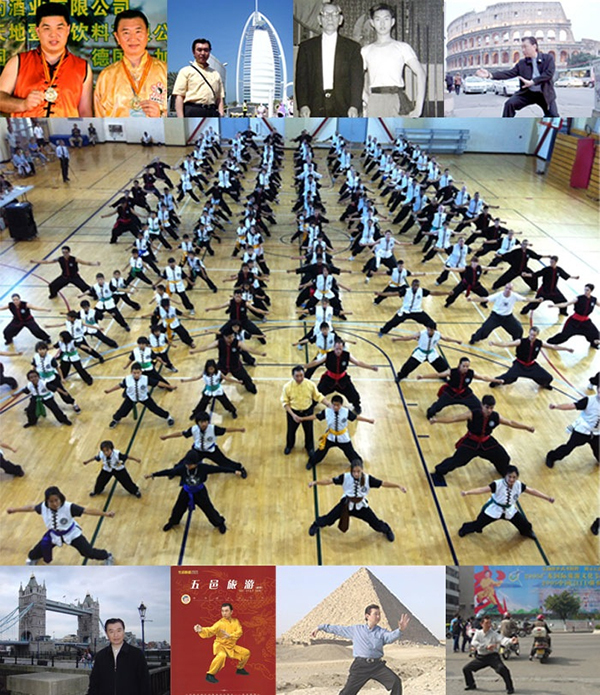 Comprehensive listing of Choy Li Fut lineage from the teachers of the Founder to the eighth generation. Watch the Doc-Fai Wong Martial Arts Center advert! Visit us on: Google - Yelp! - Yahoo - Citysearch - Learn more about us and share your thougths. The Legendary Fights of Doc-Fai Wong!